State education officials are still tallyint up the damage to schools. 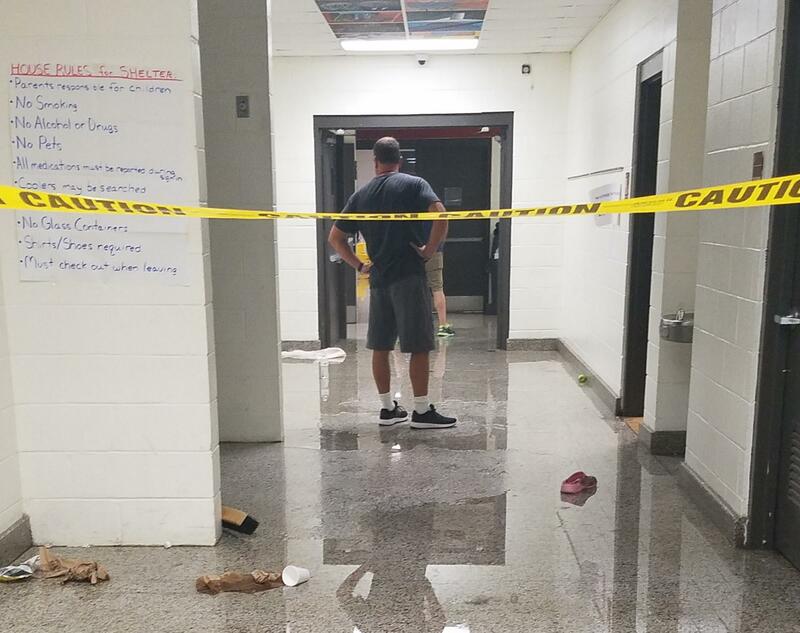 This photo shows flooding at Trask Middle School in New Hanover County. And whatever the final number, the Department of Public Instruction's insurance fund will be on the hook. The department offers flood insurance to schools that can't afford to buy it anywhere else, so the department has a high-risk portfolio concentrated on the coast and in the less-wealthy southeastern part of the state. “This hurricane has produced claims in excess of what the fund has never seen before. Just to give you an idea, we had about 125 claims that came in the last week and a half,” Townsend said. DPI adjusters are working to assess claims in 17 school districts that range from tens of thousands to millions of dollars each. Adjusters have yet to visit all schools, so the total expense continues to mount. Townsend said that she expects Florence to cost at least three times what Hurricane Matthew bled from the fund two years ago. Gender stereotypes aside, it’s well known that Florence stuck around a long time, moving at a crawl. While schools were without power and air conditioning, they began to grow mold and mildew in soaked drywall. That kind of damage is still being discovered, weeks after the storm. Adjusters continue to trek out to inspect every damaged building. Townsend said she has many challenges in this job, and one is just witnessing the storm's grueling effects. “To see homes that have been completely devastated, and clothes outside, and their life is … gone,” Townsend said. Those losses, seen by families and children, those are the losses educators will begin to assess once students return to school.